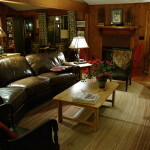 Long-time Hemlock Inn guests have described the lodging at Hemlock Inn as comfortable, country, unpretentious, quiet, rustic, and relaxing. 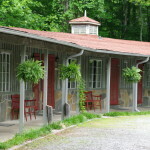 Inn rooms are decorated in a style and with a rustic elegance that defines Appalachian culture. 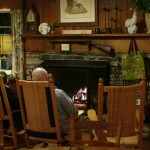 Simple pleasures abound when lodging at Hemlock Inn. 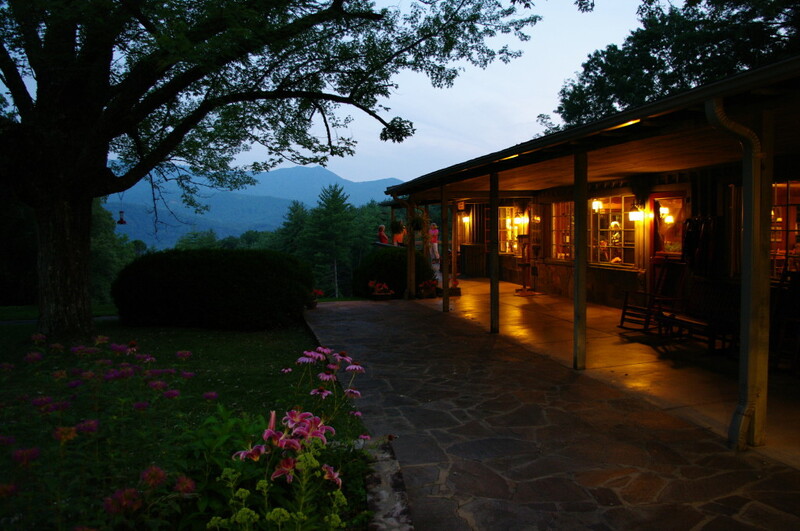 From the coolness of a mountain breeze whisping through your open windows, to hand-crafted antique chester drawers, and to local Appalachian quilts ordaining your bed, Hemlock Inn provides a relaxing and rejuvenating lodging experience. 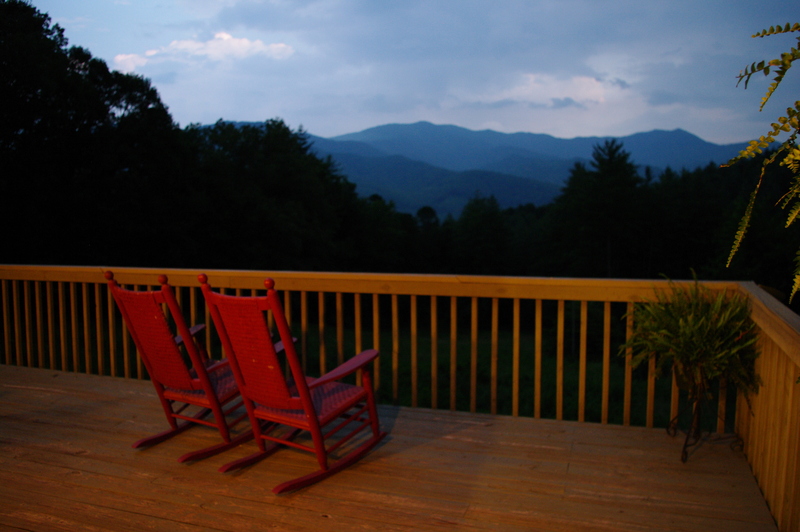 Every guest room and cottage has either a mountain or forest view, and several have private porches, either open-air or screened-in. 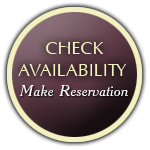 Fresh linens, towels, full maid service, and complementary shampoos and soaps are provided for each guest room and cottage. 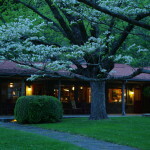 Hemlock Inn consists of 19 guest rooms and four country cottages, all of which are within short walking distance to the main lodge and dining area, and the front porches and mountain views. 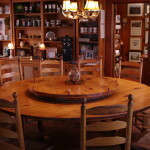 One of inn’s 5 large lazy-susan tables. Relax in the Sun Room, just off the dining room. 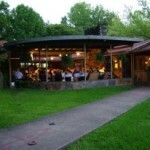 Enjoy the fireplace in the dining room. 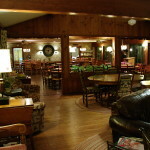 The sunroom and dining room in the main lodge. 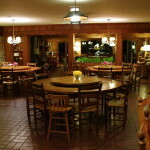 The dining room and lazy-susan tables. 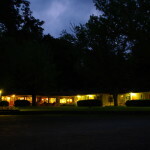 The “Second Building” of Guest Rooms.